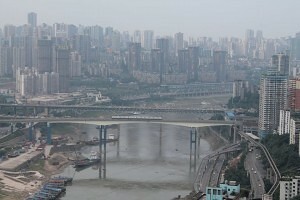 Chongqing, often called the biggest city in the world, is an unknown metropolis in the middle of China. This city has a modern infrastructure and good public transport facilities. Read all about it in this article. 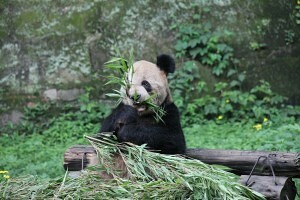 Chongqing is a big city and therefore really easy to reach. The city has an international airport (the domestic and international airports are 10 minutes from each other located, be sure to head to the right airport when you leave Chongqing). Taxi: From airport to the main city centre (Jiefangbei) is about 30 minutes for 90 RMB. Metro / Monorail: You can either take the metro to the main city centre (Jiefangbei), which is about 45 minutes for 7 RMB. 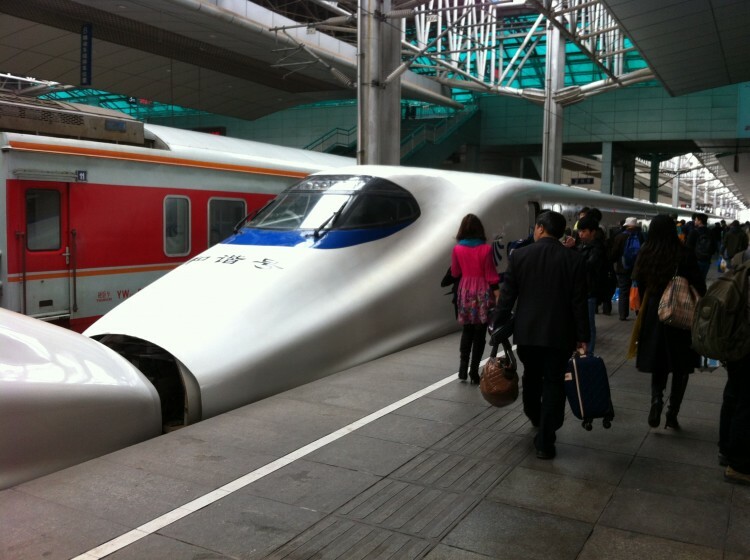 Almost every train departs and arrives at Chongqing North Railway Station (Chongqingbei: 重慶北站). Metro / Monorail: about 40 minutes to the main city center (Jiefangbei), less than 7 RMB. Lianglukou (两路口站) is the name of the long distance busstation of Chongqing. The busstation is close to the main city centre of Jiefangbei, and close to another city centre Nanping (Chongqing has about 4 city centres, but Jiefangbei is known as the main city centre). Metro: located next to the busstation, about 10 minutes to the city centres Jiefangbei and Nanping. Ticket: 4 RMB. Chongqing has an modern monorail and metro system. Prices for tickets variate between 2 RMB and 7 RMB. The monorail is an awesome kind of tram with rails in the air on pillars. This public transport system is easy to understand, even for foreigners who don’t speak Chinese. City centers: Nanping, Shapingba and Guanyinqiao have same named metro stations. There are a lot of cabs in Chongqing, recognizable on their yellow color. The cab drivers will always put on there meters. A ride of 20 minutes will cost you around 30 RMB. Start fare is 10 RMB. Cab drivers do not speak any English, nor read “our” alphabet. So prepare a paper / mobile phone with your destination in Chinese characters to show to the cab driver. The busses in the city only cost 2 RMB for each ride. Some rides can even take an hour. Bus drivers do not speak English. The busride can be paid when entering the bus, you won’t get a ticket but just need to throw 2 RMB in a box. The complete bus system is in Chinese characters, so it is not quite easy for foreigners. We would recommend to take the monorail if possible. Chongqing has not really one city center, but it has four city centres. The main city centre is Jiefangbei, which is located between the two rivers Yangtze and Jialing. Other city centers are: Nanping, Shapingba and Guanyinqiao. The city centers are shown on the map below. 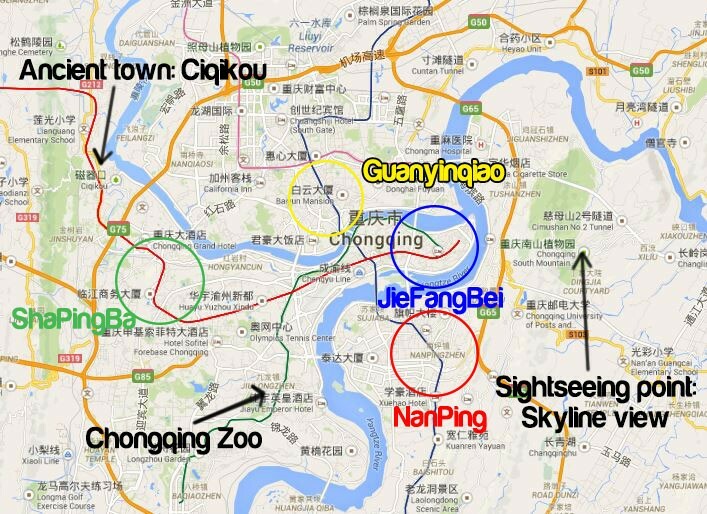 We also mentioned some special point in Chongqing and the metro / monorail lines are shown. 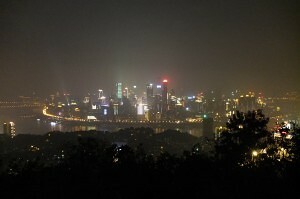 JieFangBei is the most famous and central city center, this one is known as the main city center of Chongqing. In the center of Jiefangbei is placed a 27,5 meter tall liberation statue reffering to the seconds world war. Before 1984 it was not allowed to build the buildings taller than this statue. Look at the cities skycrapers now… that escalated quickly! The most luxurious shops can be found here: Louis Vuittons, Gucci, Cartier, Rolex etc. But also less expensive shops as H&M, Starbucks and more, only Europian shops are mentioned because Chinese shops wouldn’t make sense to most of our readers, but there are a lot ofcourse. JieFangBei is the place with the most clubs in Chongqing. The bar streets is a 10 minute walk from the JieFangBei liberation statue, although most cab drivers will drop you to the bar street in the night. There are about 7 huge clubs in the barstreet.